A Curtin University-led collaboration of 58 industry, government and research partners have won a bid to establish the $135 million Future Battery Industries Cooperative Research Centre (CRC). Curtin University Deputy Vice-Chancellor Research Professor Chris Moran said Australia has to capitalise on the significant opportunities presented by the battery boom. “The Future Battery Industries CRC will address the existing gaps in the nation’s capacity to respond to this growth industry by creating opportunities to process, manufacture and deploy batteries, delivering an estimated $2.5 billion benefit to the Australian economy over the next 15 years. 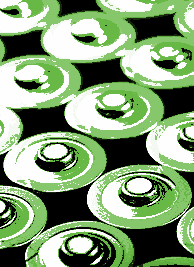 The centre has a six-year plan to address gaps in the battery industry’s value chain. “The Future Battery Industries CRC will investigate opportunities for greater efficiencies in the extraction and refinement of battery minerals, including facilitating the steps beyond mining and concentrate production to cathode production and the manufacture and testing of battery components and systems,” said Future Battery Industries CRC Chair Mr Tim Shanahan. The Australian Government has committed $25 million to support the development of the Future Battery Industries CRC, following a $28 million commitment from industry, government and research partners. The Western Australian State Government seeded the bid with a combined $6 million in provisional funding to support to establishment of the Future Battery Industries CRC in Perth, Western Australia.